She's the girl next door. He's the guy who's loved her from afar. This former Army Ranger and now-famous cardiothoracic surgeon fails at nothing…except talking to a woman he's adored from afar. Whether on the battlefield or operating room, he's exacting, precise, and efficient, but all of that crumbles when Stella is in sight. I've had friends telling me to read some Kate Canterbary for a while now, but it wasn't until I came across Before Girl that I really felt an urge to actually do so. The premise of this one is exactly my kind of thing, so I knew it would be a good place for me to start Canterbary's books. And, considering how much I truly ended up enjoying Before Girl, I made the right choice. There's so much about this book I loved, but at the top of the list was definitely Cal and his cute adoration for Stella. It started out borderline creepy, but that passed quickly and I just had a great time reading him--both while he made a fool of himself and was generally head over heels for Stella. He was so sweet. There's a particular moment where Stella's talking about her calves like "they're big" (or something, I'm not quoting her verbatim here) and Cal replied with "Yeah. They're awesome." And I pretty much died. I loved him. I was also a fan of Stella and her stubborn confidence. She was so headstrong. She knew her own mind and stood by it. Of course, she had her own baggage to work through but the fact that she was always herself through it all was great. Plus, she was FUNNY. The romance was sweet, as expected considering Cal fell in love at first sight, but it did take time to develop--which I loved reading. Cal and Stella also had some great banter. Like Stella is funny, them together made me laugh. They had wonderful chemistry that translated from steamy times to joking times to heart-to-heart times. My only issue with the novel was the pacing. The beginning kind of took too long, and then the way the plot was laid out just didn't wholly work for me. Partly because some parts dragged while I wished others lasted longer, but also it felt somewhat contrived. Not to the point of ruining the whole thing (because I did have a very good time reading the book) but to where I feel it is worth mentioning. 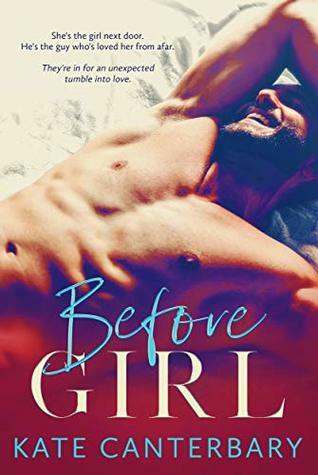 Overall, there was so much about Before Girl I loved: Cal and his adoration, Stella and her confidence, the laughs, and how happy this book made me. As an introduction to Kate Canterbary, I'd say this one was a winner. 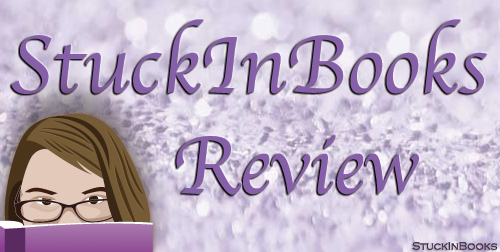 4 stars - A sweet, funny romance I truly enjoyed!